If Peter had received the proper care, would he still be with us? Having a child die is a devastating experience for any family. Having a child die due to negligence, or discrimination in care or treatment, adds a whole new level of pain for families and loved ones. Imagine finding out that a do-not-resuscitate order was put into your child’s chart without your knowledge or consent, or finding out your child is receiving only “comfort feeds,” and not enough nutrition for health and growth. Or how about finding out your child bled to death after a common surgery? These are some of the situations families who have children with special needs have experienced. In addition, these children are often denied surgeries or other ordinary care that would be given to a child without special needs. The heartache of finding out your child has special needs and health issues is often made so much worse by the negative and discriminatory attitudes of some medical professionals. In several states, including Idaho, Michigan, Oklahoma, Minnesota, Missouri, and Kansas, bills have been written to alert the public to the dangers posed by this widespread discriminatory bias and negligence. 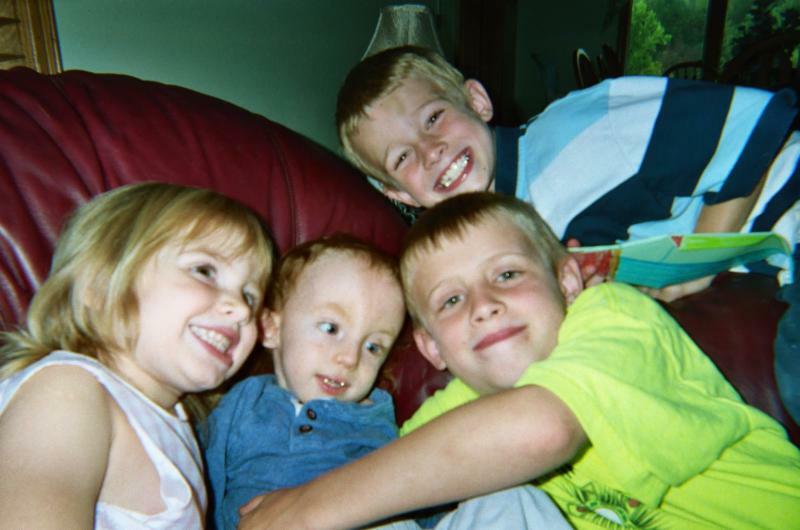 My son Peter had trisomy 18, and he lived for six and a half years. Like many other families, we were told that ending his life by abortion was the answer to his disability. After he was born, we were pressured to “let him go,” and not provide the care he needed to survive and grow. We were told he would never contribute to society and would be a horrible burden for our family. I was even told that if I wanted to be a good mother, I shouldn’t bring Peter home from the hospital, and the hospital could make him comfortable as he died. Peter died after having his appendix removed. We were told, after the surgery, that everything went great and there was no infection. After he died, we felt something was terribly wrong, so we had an independent autopsy done. We were shocked to find out that he bled to death. I asked the doctor who performed the autopsy, “Are you telling me Peter didn’t have to die?” She responded, “I am sorry; I don’t think Peter had to die.” At those words, my heart broke into a million pieces. After Peter died, my husband and I also discovered that the hospital had an internal futility-of-care policy that only select doctors knew about at that time. We worked with legislators to write a bill that would require hospitals to disclose such policies to the public. Much of the public is unaware that many (if not all) hospitals have policies granting to themselves the authority to deny life-sustaining care and treatment to a patient, based on a physician’s assessment that the patient’s life is not worth preserving. Was Peter a victim of the hospital’s futility-of-care policy? Did someone base their treatment decisions on their own biased perception that Peter would “never contribute to society”? Did he die because someone thought it was “not worth the resources to keep him alive”? Did someone make the decision it was “time to let Peter go”? We heard that same language throughout his life. It is profoundly disturbing and heart wrenching to have your child talked about in this way. We will live our whole lives wondering, “If Peter had received the proper care, would he still be with us?” We miss him terribly and would have happily taken care of him forever. Peter was a joy to our family and a blessing to care for. He was never a burden. His 10 siblings all say that Peter’s effect on our family was positive. His presence enhanced–not diminished–our family life. We will always think of him as our great gift that was taken from us too soon.